So, I'm friends with Tegan Wren, author of Inconceivable! due out in November 2015 (which I reviewed here on Goodreads). 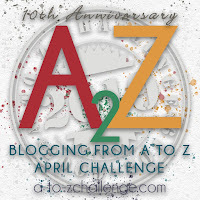 She tagged me in a writer game that's been going around the blog-o-sphere: the 777 Challenge. The idea is to share seven lines from the seventh page of a work in progress. Then tag seven other writers to do the same. Tegan asked for lines from the sequel to my debut novel Going Through the Change: A Menopausal Superhero Novel. So, these 7 (ish, I cheated a little) are from the first chapter of that book (working title: Change of Life). This section features Linda Alvarez, a crowd favorite character. When Linda went through the change, she changed more than most people do. In fact, these days, most people know her as Leonel. So, here's a bit from page 7, when Linda is in a training session for her new job with the mysterious Department (of what? That's the mystery!). She's pumping her trainer for information while she's pumping iron (a LOT of iron). She kept her questions vague, as if she didn’t know the names of the other people involved. “I hear that they took the fire-throwing-lady someplace. Did they get anything out of her to help with the search for the crazy doctor?” Linda didn’t say it aloud, but she had been plagued with bad dreams about that day. She was especially worried about the part she had played in Jessica’s injuries and, even though it had been in defense, she regretted the force she had applied to Helen. She should have been able to solve that problem in some other way. Throwing a sixty-something-year-old woman into a brick wall was just wrong. She’d been praying that the woman had survived her injuries. She didn’t want murder on her list of sins. Another Summer Over, and What Have You Done? Whoosh! That was quick. I swear that summer (and life in general) goes by more rapidly with every passing year. Even my children seemed to feel like this season of rest and rejuvenation was too brief. The way I remember it, when I was a kid, summer was endless, to the point that you were actually starting to get bored and anxious to go back to school. 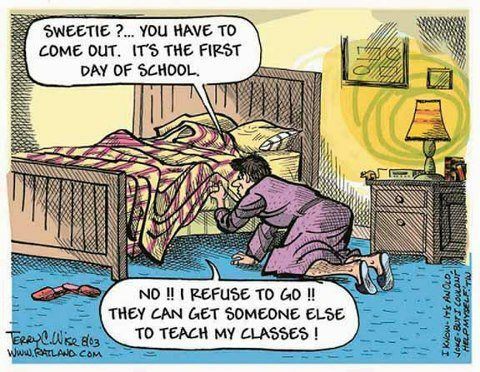 Although I chose a cartoon that suggests I don't like school, I actually do. And the beginning of a school year is like a clean slate and fresh start every year. Each year, I get to take what I did in the previous year (and all the years before that), pull out the good stuff to reuse and reshape the rest of it into something that will work better. It's like having a re-do button once a year. And I really do love teaching, even though it wears me out and frustrates the heck out of me sometimes. Kids are way better people than adults sometimes. There's something just this side of magical about being there when they make a leap and grow, and that's an experience I often have eight or ten times a day. Plus, it's work that matters. Capital M Matters, in that deep, cosmic sense. I make a difference. I've been a teacher for twenty years now, so that's something like two or three thousand people (at a minimum) whose lives I've been a part of. Enough of them keep in touch, that I know I've had some positive effects. So, I'm happy to be back in the classroom. But I still mourn the open space of summer. It amounted to something like seven weeks this year, and, while that helps, it's not enough to smooth all my edges and build my stamina back up. So, I'm looking back at what I said I wanted from summer. 1. Writing, lots and lots of writing. Finish the sequel and submit it. Revise the opening to Cold Spring and resubmit it. Finish writing the novella for the superhero novella and submit it. Write a few more short stories. Resubmit (revising if necessary) everything that has come back rejected. Decide which of my projects will get my hard focus next: the second book in the Cold Spring trilogy? the third book in the menopausal superheroes? the middle grades novel? Well, I did a lot of these things. Sequel? check! R&R for Cold Spring? Check! Novella? Check! a few more short stories…well, no. I've begun one but not finished it, though I did revise three others. Resubmit? Check! Though some rejections have cycled back around again and it's time to resubmit yet again. Decisions? Well, sorta. I've begun work on the Cold Spring book, but it's slow going. I'm not going to do any big work towards the three-quel for my menopausal heroes until the second book has made it through to editing. Apparently, that middle grades novel is still sitting in the drawer waiting for its moment in the sun. So all in all, I'd say I did pretty well on this front. 2. Reading, lots and lots of reading. I struggle to find time to read during the school year, and I love to swim in the sea of books all summer long. Goodreads stats, I read fifteen books this summer. I also beta read two books. I'm nine books ahead on my challenge to read fifty-two books this year (one per week). Of course, I didn't really put a dent in my TBR list, because I picked up just as many new books as I read! Still, all in all, I feel good about the amount I read this summer. 3. Summer outings: swimming, beaching, farmer's markets, berry-picking, hiking, visiting grandparents, GEN CON! This was probably the part I felt most disappointed in. Making all that writing progress kept me at my computer a lot. Coupled with some really really hot weather and high humidity all summer, I didn't hike, berry pick, farmer's market, beach or anything else outside much. I did help teach the little one to ride her bike (which wasn't on my list, but was on hers), so there's an extra. Me and the youngest spawn also got some nice time with grandparents and I did get my trip to Gen Con (which was awesome). I wrote some articles for GeekDad about various things there, too. Next summer, I vow to get out more though. We'll just have to go early, before it gets too hot! 4. Sleeping and resting: let those days start a little later and actually wake up feeling rested. Take naps. Watch a little TV. I slept till eight or nine o'clock nearly every day. That may not sound late. But I have a kid under ten years old. And during the school year, I get up between five-thirty and six. So, it was a slice of heaven for me. I didn't take naps, but I did get to watch all of Orphan Black with my teenager, and some of Agents of Shield, so, for me, that's a lot of TV. 5. Household catch-up: All that stuff that piled up all year and is now a fire hazard in the garage. Yep, time to bring out the backhoe and deal with that stuff. So, I can claim only minimal progress on this front. Truth be told, as much as I hate living with the disorder, I also hate the work of handling the disorder. It makes me hate my previous self who thought it was okay to let things pile up. So, there's a path begun through the garage, but it's still one onerous task. (sigh) It might be easier to just to move. I can drive myself crazy sometimes, focusing only on what is still on the to-do list, instead of knowing how much is on the "done list" (like one of my online friends advises). So, this post was a good one for me. It was a good summer. Next summer will be even better! Finding the right ending for a novel is no small feat. I would argue it's the hardest part, at least for me. The ending needs to evolve naturally from the rest of the book, surprise the reader in a believable way, and resolve the right things. There's often a great deal of disagreement about what kind of ending is right, even among fans of a book or story. 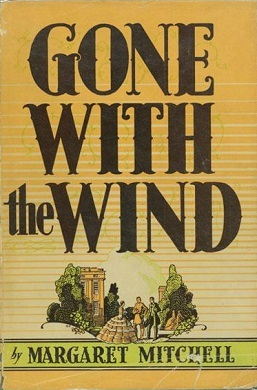 One of the first times I ever remember being shocked by an ending to a book was when I read Gone With the Wind as an early teenager. It was a marathon read. My mother handed me the book, saying she thought I'd really enjoy it, and I read it straight through in one sitting, barely pausing to eat or use the bathroom (it's not a short book). I hadn't read anything like it before: the melding of history and romance, drama and melodrama; the seemingly unsympathetic main character who somehow still had my sympathy; the shocking mix of empathy for suffering, combined with causing of suffering. romantic storyline. Most books I had read up until then had tied-up-in-ribbons gift box endings where each and every question you might have had at the end of the story is laid out in turn and resolved. There was no ambiguity. As Oscar Wilde wrote facetiously, "The good ended happily, and the bad unhappily. That is what fiction means." But at the end of GWTW: the girl got her guy, then lost him? But she didn't give up hope? I had no idea what to do with that. I'm sure I wasn't the first or last reader of Margaret Mitchell's classic to sit there feeling gobsmacked when Rhett walked away. But the more I thought about it, the more I thought that ending was right. There was room for hope, but if Rhett had stayed, it would have felt cheap and unbelievable. It wouldn't have been true to the man Mitchell had created in all the pages leading up to that ending. As I've continued to read and to write, I've found that I like ambiguous endings. I like that feeling of coming to the end of this stream, but not the entire river. That pull to explore the rest of the river another day. 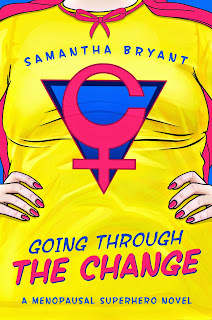 My debut novel, Going Through the Change: A Menopausal Superhero Novel, has a cliffhanger ending. And boy have I gotten flack for that! In fact, it's the one thing that seems to actually make some readers angry. In some cases, I think people may have flung their poor paperbacks or Kindles across the room. I knew cliffhangers weren't for everyone, but I have been surprised by how emotional the response has been for those who don't like them. So, I thought I'd take a moment to talk about why the book ends the way it does, hopefully without spoiling the ending for someone who hasn't yet read it. In writing Going Through the Change, I was trying to create a novel that imitated a comic book. Comic books were part of my foundational reading as a child, and as I went to write my own comic book style story, I thought a lot about tropes and conventions. In some cases, I used them, in others I tried to subvert them. 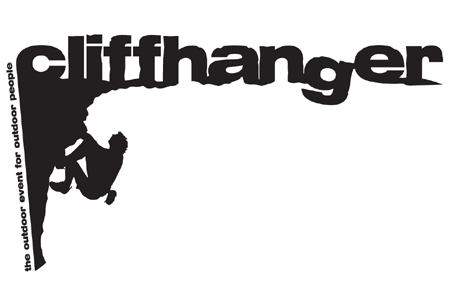 A cliffhanger ending is one I decided to use, rather than subvert. It's one of the things that makes a story feel comic book to me. It's probably something the medium inherited from old time radio and pulp serials, that whole "tune in next week" siren call, where the immediate peril has been resolved, but a new peril is already en route. In other kinds of novels (both those I write, and those I read), I tend to like a semi-conclusive ending these days. Whatever the main conflict was, I want to see it resolved. But I no longer like an endless epilogue of tying up loose ends, like I did when I was younger. I find them tedious. I think it's okay to leave questions unresolved, especially if they weren't the main point. My comic book story needed a comic book ending--which answers one question only to open the door to more questions. It still feels like the right ending to me. (And don't worry; the second one is written and in process). Recently I went on a walk in the woods with some friends. These were some of my higher maintenance friends. Normally I let them choose what we do, because they are more difficult to please than I am, but I thought a walk in the woods was something we could all enjoy together. They thought it sounded nice, too. So, off we went. It was a beautiful early summer day, not too hot, and the light through the trees was gorgeous and made the leaves glow. It didn't work out that well. The friends seemed to want to tramp through the path as quickly as possible, as if the goal was to win a race. 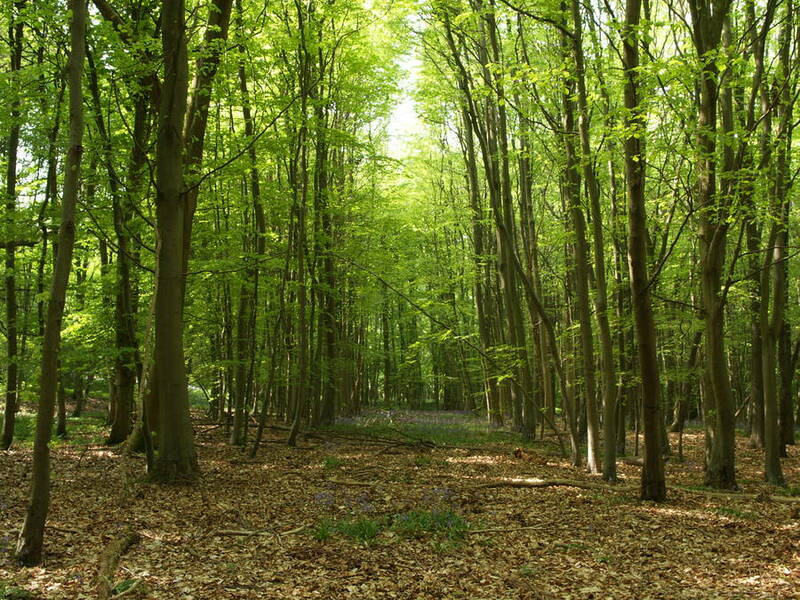 I felt breathless, trying to keep up and, at the end of the walk, didn't feel the sort of soul-refreshment that an afternoon in the woods normally brings. They seemed fine, but I was grumpy. I couldn't figure out what was wrong. I think I've got it now. We just don't think the same way. I have writer brain. It's a disconnect I've run across a lot in social situations. At first I thought it was the introvert/extrovert dichotomy. I definitely skew towards introverted. I'm sensitive to noise and light and atmosphere. Setting matters as much as content. I don't like loud or crowded or busy scenarios. I can deal with them if I must, but I would never seek them out. I'm not a cocktail party girl. I'm a quiet conversation and soft music girl. I would rather spend time with one or two friends, then with ten. But it's more than just that. I am also nearly never bored. 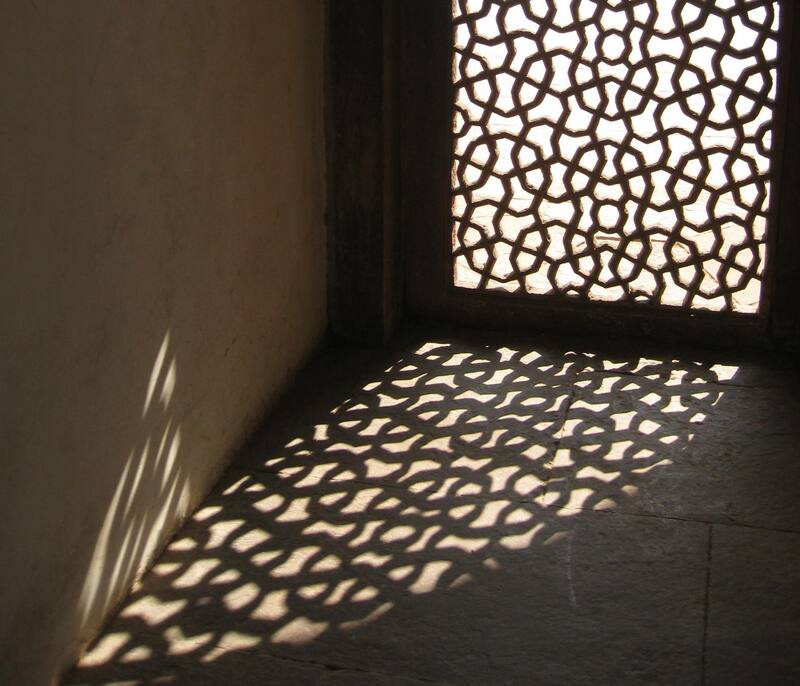 I'm a person who can become absorbed in a pattern of light on the floorboards, or the sound of cicadas singing love songs in the night. If there's nothing there that drops entertainment in my lap, I find it in my own musings and imagination. When I watch people, I'm making up stories, backgrounds and what-ifs for what I see. In fact, I often miss the details on the surface. Not being able to remember the color of the shirt of my companion or where I parked the car is common for me. That's not where my mind was. My friends, on the other hand, when they tell me stories about their doings and goings, tell me all about those details. How someone wore her hair. What kind of car they're going to get. Who was there and what they said. When they take a walk, they tell me how long the walk was. They like parties and seek out popular events full of boisterous people. They bore easily, getting rid of things and buying new things, changing homes and jobs at what seems like a dizzying pace to me. Their focus is just in a very different place than mine. So far as I can tell, my friends are the normal ones. I'm the one whose brain works on its own wavelength. It's not always a good thing. It makes me distractible. It means I overthink things that ought to be simple. I can see too many possible roads and want to think my way down all of them. It means I forget details like my neighbor's name, even when I've met her twenty times (though I can tell you all about her habit of stopping and staring up at the moon on starless nights as if she were hypnotized, or that her dog pulls to the right when he walks as if he were a minivan out of alignment). But I wouldn't trade it. I like the world through this filter of stories, unexpected connections between disparate things and wild goose chases down rabbit holes. I'm happy here in my little dream world. Please don't wake me. I've been all over the blog-o-sphere these past few days. If you've been wondering what the deluge was all about, here's why: I have a BookBub special! For those not yet in the know, BookBub is awesome! It's a sort of clearinghouse for books that are on deep discount or free. You can sign up with them for free, and they will send you a daily email letting you know what bargains are available on ebooks in the genres you prefer to read. There are many such services, but part of what makes BookBub so awesome is that they vet the choices, so you are actually likely to WANT the books they advertise to you. This is not bargain basement stuff, but temporary discounts on the good stuff. I recently picked up an anthology including a story by Neil Gaiman this way. So, when Curiosity Quills told me that my book had been accepted for BookBub, I did a happy dance (in the kitchen where only people who already know and love me could see). Given that the news of my sale (the book is free in Kindle format on August 5th and 6th) comes from BookBub, there's a goodly chance that I'll pick up some new readers! Maybe they'll leave reviews and maybe I'll go up in author rankings and be a step closer to making a living from my words. So, to spread the word about my book and this sale, I've been guest blogging like a crazy woman. Here's a compilation of where all I've been recently and what I've been saying. Keeping the Romance Alive is a post I wrote for Clare Dugmore's blog about the matters of the heart of Going Through the Change. Clare writes Romantic Contemporary Fiction and also manages social media for Curiosity Quills. For Curiosity Quills, I wrote a piece on choosing the right point of view for your story. It's All in Where You're Standing. Curiosity Quills is my publisher, and publishes lots of other great books under the speculative fiction umbrella too! Jason Feingold is a member of my critique group. He hosted my article Building a Hero I can Believe In. You can read his most recently published short story, Fast Food Fish Fatale, on AllegoryEZine. 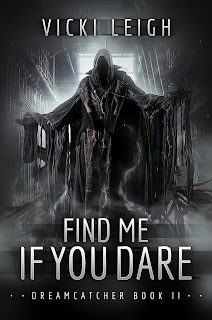 Fellow Broad Universe member and speculative fiction writer Wendy Van Camp hosted my article So, You Want to Write a Superhero Novel? on No Wasted Ink. Aimee Hyndman, author of Hour of Mischief, hosted me on Slush and Writing with Kallypso for an article on gray characters: There is No Black and White. My article, Why Superheroes, ran on Kissed by Literature and K.K. Burks's blogs. Yolanda Renee (and beta reader! ), a murder mystery writer, hosted me on Defending the Pen for an article called Judging my Own Book By Its Cover. 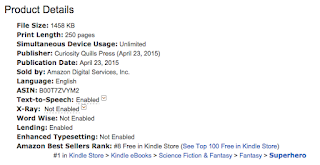 My Paper Baby Learns to Crawl was hosted by Ann Noser (beta reader!) author of How to Date Dead Guys and Kate McIntyre, author of The Deathsniffer's Assistant. LJ Cohen, author of Derelict and Ithaka Rising, hosted me for a guest blog: Getting Older and Bolder. David Higgins and Kate Colby hosted me for an article, too: More Than One Kind of Woman Can Be a Hero. Marti Lawrence, a humor writer and all-around mensch, hosted an excerpt from me under the headline: You Gotta Laugh or You'll Cry. The Renegade Word hosted What I Learned From Rewriting My Novels. 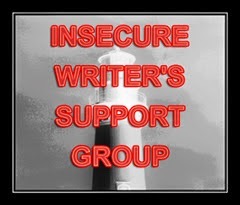 Chad C. Clark, author of two great short story collections, Elizabeth Hein (also a critique partner), author of Overlook and How to Climb the Eiffel Tower, Emma Adams, author of the Alliance Series, and Tegan Wren, author of Inconceivable! and DSavannah Rambles my AtoZ writing buddy, each hosted me for interviews. Andy Goldman, a friend from Google Plus and the author of The Only City Left series, hosted my article on my path to publishing: Small, Independent Publishers: Neither a Jet Plane Nor a Slow Boat to China. Constance Burris hosted A Woman of a Certain Age: Heroism Over Forty and Kimberly FDR (critique partner!) hosted Walk Like a Man. You should check out her recent releases as KLynn: His Womanly Ways and Coffee Date. So, whew! That's probably more than you ever wanted to know about me or my book. What you should really notice though is how many people were willing to step up and help me get the word out! Writers really are the friendliest and most supportive people and I am fortunate indeed to have so much support surrounding my book baby. This is just a list of the blogs. That doesn't even count people who tweeted the news or shared it on Facebook or just told their friends. That's not to say that I can't be patient. I'm a teacher, a mother, a wife, a dog owner, and a writer. All of these have taught me patience. I'm not going to go around haranguing people or beating at the walls. I know how to wait civilly. But that doesn't mean I have to like it. I'm in a holding pattern right now in my writing life. My first book came out and I just finished a wave of promotion for it, writing many many guest blog posts and interviews to spread the word about a BookBub special (the Kindle edition will be free on August 5th and 6th!). The next wave isn't until September. I had three writing deadlines when I began my summer writing season: submitting the sequel to Going Through the Change, writing and submitting a novella in the same world for an anthology, and a revise-and-resubmit on my historical fiction piece Cold Spring. Done. Done. And done. So, now I'm waiting. 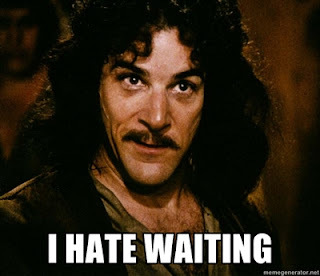 Besides waiting to hear about those three, I also have another novel out on submission which is still being considered and three upcoming anthologies I've had work accepted for, but am waiting to hear back on. 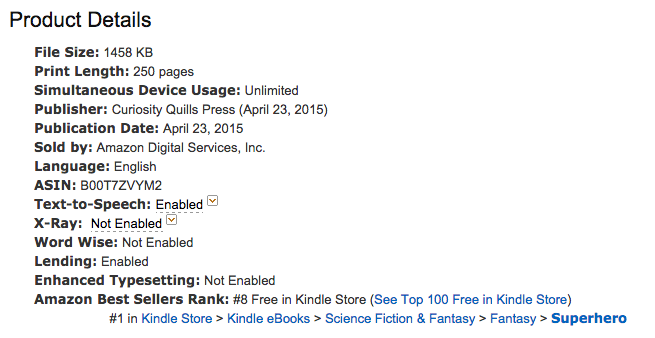 (That's not meant to be a humble brag: all this waiting is getting under my skin). The balls all seem to be in other people's courts and I'm standing here with my racquet, feeling edgy and anxious. I still have a daily writing habit going (669 days in a row on Magic Spreadsheet as I write this). But I'm floundering with what to do with it just now. I'm writing little pieces that don't satisfy me. If the sequel is accepted without significant change, then I should work on the three-quel. It's best to have steady output for a series. But I don't want to start working on the three-quel until I know that the second book is going to go without significant plot changes. I hate the idea of wasted effort, continuing storylines that might not be useful at all. So, here I am in the waiting place. I'm trying to work on the second of the historical fiction trilogy. Right now that means a lot of research as it turns out I am woefully undereducated about America in the period between the world wars. So, lots of reading and notes, little output of actual words. No feeling lost in a story. It leaves me feeling unmoored, with no big project anchoring my vision right now. I don't feel productive or inspired. And those are two of my favorite feels. So, what do you guys do while you're in the waiting place? What keeps you from climbing up the walls? 1. Tell us a little about yourself. I'm a tattooed, vegetarian, outdoorsy woman with one head in the clouds and the other firmly settled in my hiking boots. I'm an environmental engineer by day, author, runner, reader, gamer, naturalist by night (and weekends). 2. When did you start writing, and why? When I was a wee lass I'd make up stories to tell my mother while she was gardening. I think it started there. My favorite subject was Baggy Piggy, who had a curly Q tail that never ended (I knew this, because I drew him incessantly with pink crayons). I remember, before I could even write, 'writing' (aka doodling) on paper and then reading them to my great grandmother. Storytelling is in my blood. I guess that's enough of a reason why. Though the fact that I enjoy it doesn't hurt. I have little people in my head (doesn't every author) that want me to explore their worlds, flesh out their personalities and goals and give them something to do. I can't take all the credit, it's partially their fault. 3. What do you write, and why? What do you enjoy about what you write? I write speculative fiction. Mainly fantasy, though I mix horror and magical realism in there. I write fantasy because fantasy is what first got me excited about reading. I remember my older sister, Audrey, handing me the first of the Pierce Anthony Xanth novels, and I was astounded at these magical places, characters with magical talents, all of the magical beasts. Magic. Magic. Magic. I wanted that. To live there. Be special. Be something more than just human. And I read as much fantasy after that as I could. Tolkien, Eddings, Pratchet, Weiss and Hickman, Duncan. You know the era and the authors. That's what fueled me as a young reader. I hope to fuel other readers too. And the joy comes from creation and imagination. Of speculating: What if? and expanding from that. I am the master of my own universe, what is not to like? 4. What is your latest book? Any forthcoming books? My debut novel, Three Great Lies, releases August 6th. It's fantasy, with historical and literary trappings. It carries a bit of a Finding My Place in Life theme. 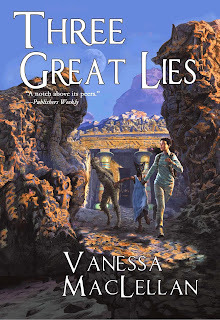 Jeannette Walker, a modern scientist, ends up in ancient, mythological Egypt. Though she constantly casts doubt on the existence of such a world, she has to learn to live in it. While trying to save her mummy friend's soul from a wicked tomb robbing ring, she realizes a few important things about life. What those are, well, you'll have to read the book! I have one complete manuscript for a dark fantasy I'm currently shopping out, and am working on a modern super hero series. There's always something I'm working on. 5. "Welcome To My Worlds": Tell us a little about the world of Three Great Lies. Ancient, mythological Egypt. It never rains. People's lives aren't equal. Prayers constantly dance upon lips. Beer is a meal. Sand is a major filler in the bread. Children of gods walk the street with the heads of animals and prophecy on their lips. To Jeannette it's, of course, a total shock. There are people about in public naked and jackals speak. A mummy—a desiccated, lumbering thing—chases her through the crowded streets, accusing her of stealing his ba! It's not necessarily a friendly place, but people are people, and even Jeannette is able to find friends in ways she never expected. 6. Introduce us to some of your characters. What do you like about them? 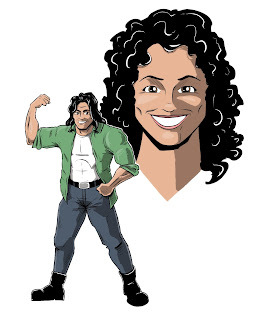 Jeannette Walker is my protagonist. She's mid-twenties, a scientists with a jilted past. She still holds the hurt from a past betrayal and has learned to trust nobody and nothing. I love her voice and her mind-chatter. And she's got a good heart that struggles to show through her armor. Abayomi is the dead man walking, a reanimated mummy who seeks his lost ba container so he can continue on to the afterlife. He's a perfect citizen who knows his place in the world and doesn't seek to unbalance tradition. Until his friends are endangered, then his loyalty shines like a beacon. True best friend material! Sanura is the young daughter of Bast, cast out from her litter. She's lost and alone and Jeannette saves her—saves her—and she'll never forget such gifts. Sanura, like most young people, is soul-searching, trying to found out exactly why she's been cast away and what her purpose and place is in life. Her journey is one everyone can connect with. She's the spirit of the story. 7. A fun fact you would like your readers to know about Three Great Lies. A major aspect of the book (the stray dog theme) sprang to life at an agility dog show. The midsummer day was baking hot and I had parked myself under a tree for the next show. A Jack Russell Terrier was looking at me, with that intelligent tongue-lolling smile terriers have. Honestly, the dog was smiling. And that was the original start of the novel: "The dog was smiling at her." It's since changed, but that line and scene are still in there, the theme planted throughout the novel. The story just unfolded from that one dog's smile and here we are now. 8. Any challenges with getting Three Great Lies to where it is today? Three Great Lies has been on a long journey. In 2008, I wrote my fifth NaNoWriMo novel. That was Three Great Lies. It was titled simply "Egypt" back then. It was a 50,000 word rough draft. Then I added extra plot threads and themes, and it topped out at 140,000 words. That's quite an addition! Then there were years and years of critiquing and editing. 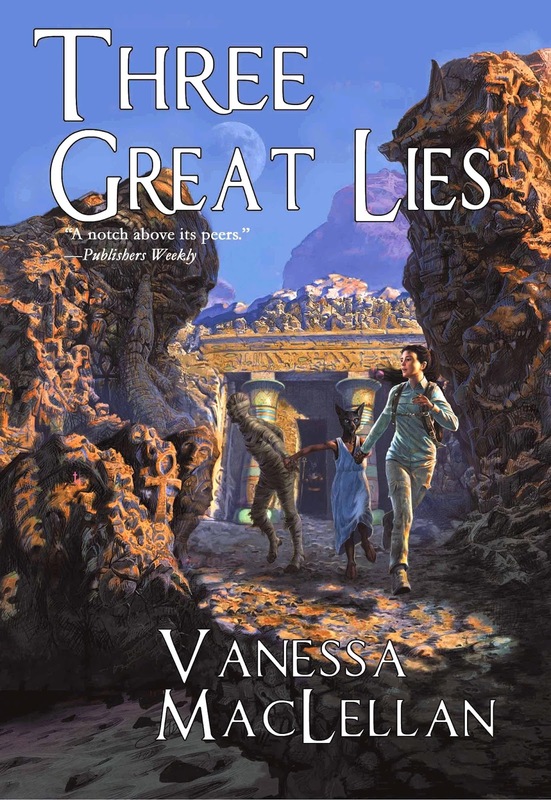 Finally in 2013, I begin seeking representation for Three Great Lies, and it was picked up by Hadley Rille Books (which was the most perfect place for this book to land). Now for the rough stuff. As I was due my edits, my publisher had a stroke. (Though he insists he was abducted by aliens to an alternate universe.) It was terrible, we weren't sure if he would make it. The entire press huddled together in worry and anticipation. I was wavering between feeling devastated for my publisher's situation and worrying about the state of my book (and feeling so so guilty for that.) But he did pull through and has worked tirelessly on my novel, by my side every step of the way. Now, we're here, and my novel is published! I think other authors might have pulled their book to seek other representation, but I knew Hadley Rille and my publisher were perfect for my book. 9. What's your writing process? First and foremost, Three Great Lies was a 'pantser' book. I didn't have an outline. I wrote forward from the smiling dog on guts and intentions. I had this idea of where I wanted to go, with no map on how to get there. Now, I am an outliner. I think the process, for me, would have gone so much faster if I'd had a more solid idea of the substance of the story. As it was, lots and lots and lots of editing and rewriting were necessary to make this book shine. When I'm in the thick of writing and editing, I try to work on the novel every single day. It keeps my writing sharp and my mind on the storyline. It keeps me from losing plot threads and missing finer details. For me, every day is the way (ooh, that even rhymes.) And another thing I've learned: Do not work heavily on writing in the summer. I like to play outside too much and I feel guilty if I don't write. Now, I just hold up my hands and let it all go. Summer, for me, is play time. No guilt for taking some time off writing. Because, we're our worst guilt-trippers. You can find Three Great Lies at Amazon Thanks for reading! I hope you come by and check out my site and my novel. It was a joy to write and I hope it brings joy to you as well. 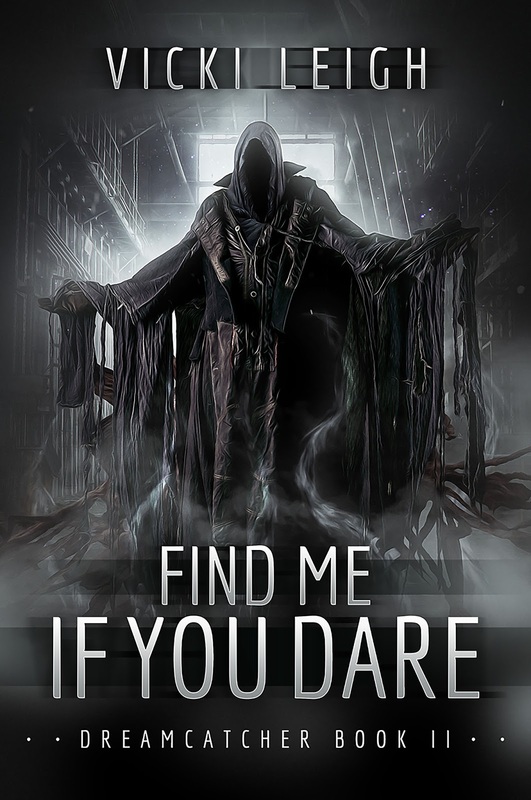 I'm pleased to share with you the cover for fellow Curiosity Quills writer Vicki Leigh's upcoming YA dark urban fantasy, FIND ME IF YOU DARE! Isn't it spooky-awesome? The book itself will be out on December 1, 2015, just in time for holiday reading. You can read more of what it's about, by stopping by her Tumblr page (vickileighauthor.tumblr.com). There's an awesome 22 BOOK giveaway going on over there, too!